This surface prep solvent wash removes mold-release wax, dirt, grease, and oil from fiberglass, gelcoat, wood, bronze, aluminum, and stainless steel prior to priming and painting. Removes paint from tools and equipment. 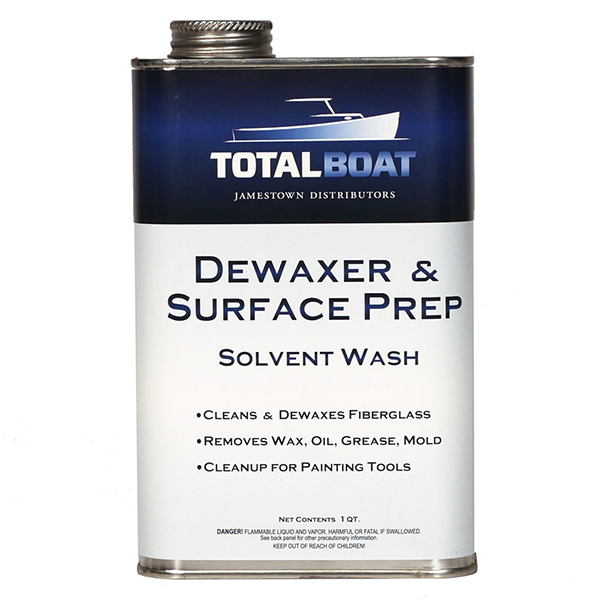 TotalBoat Dewaxer & Surface Prep cleans surfaces thoroughly so coatings adhere better and last longer. It also makes quick work of cleaning painting tools and equipment by dissolving paint easily and completely. 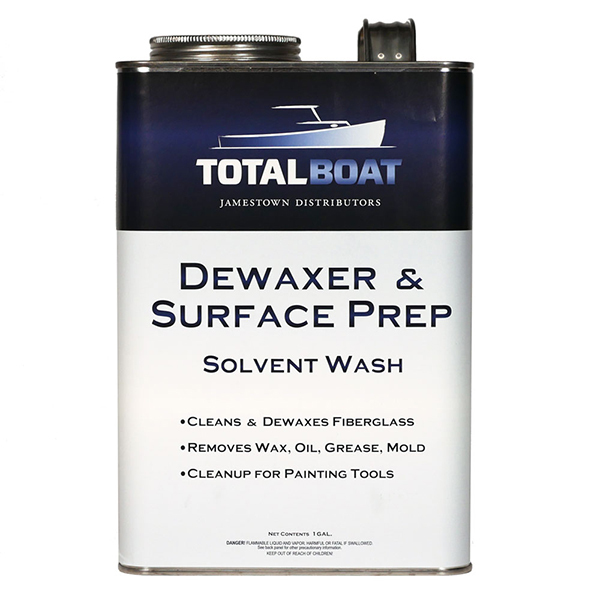 TotalBoat Dewaxer & Surface Prep is not intended for use with some TotalBoat products. Please contact us if you have any questions regarding compatibility. Warning! Rags, steel wool, or waste soaked with TotalBoat Dewaxer & Surface Prep may catch fire spontaneously if discarded improperly. Immediately after use, place rags, steel wool, or waste in a sealed, water-filled metal container.